Recorded, “Quantum Leap” in 2012 which musicians and critics agree is a next step for jazz. With quantum jazz Harrison has opened up new areas for time, harmony, and melody. The record also melds cutting edge jazz with New Orleans funk – connecting the past with the present with jazz music that transcends boundaries. Created “Nouveau Swing” – a style of jazz that merges modern dance music like r&b, hip-hop, soul, rock, and combined jazz with Afro-New Orleans traditional music on the critically-acclaimed album “Indian Blues” (1991) The recording deepened Harrison’s commitment to maintaining the offshoot rituals, call and response chants, and drumming of Congo Square alive for the next generation. 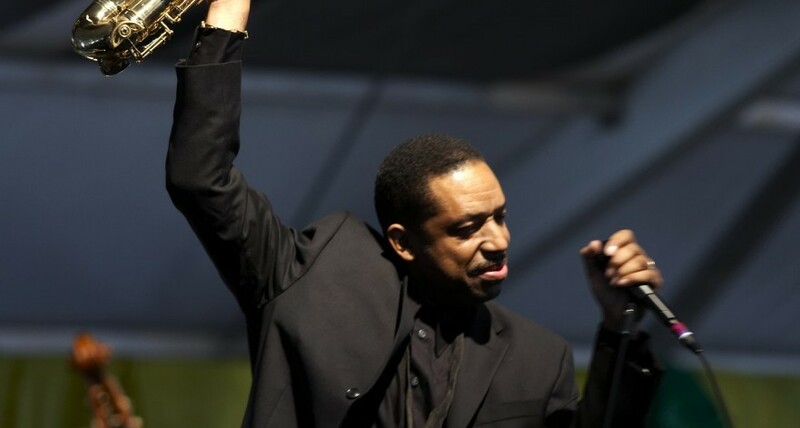 include France’s “Grand Prix du Disque”, Switzerland’s “The Ascona Award”, Japan’s Swing Journal “Alto Saxophonist of the Year”, The Jazz Journalist Association’s “A List Award”, 2012 New Orleans Civic Award, 2007 Jazziz Magazine’s “Person of the Year”, the Big Easy Music Awards “Ambassador of Music,” the Big Easy Awards “Saxophonist of The Year,” Down Beat Magazine Alto Saxophone Poll Winner, 2006 Resident at William and Mary College, 1995 “Meet The Composer” recipient.